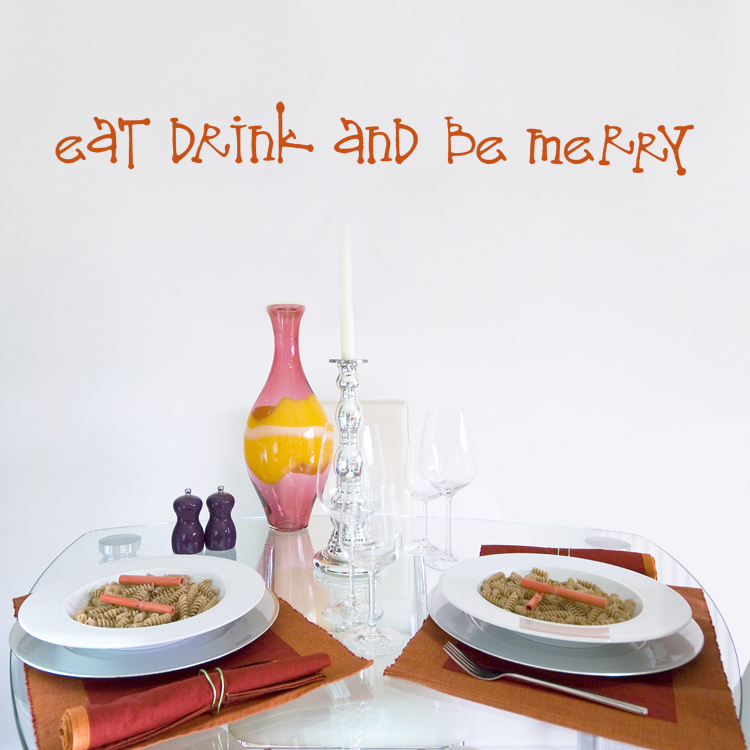 Eat Drink and Be Merry. 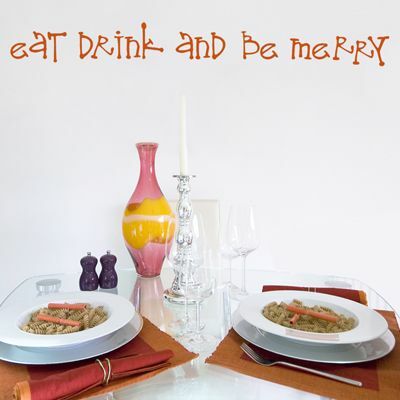 Put this up on your wall to remind everyone to have an enjoyable meal at your dinner table! Our wall decals are ideal for offices, living rooms, entryways, classrooms, even your car or glass shower doors! As shown, this decal measures 38 inches wide by 4.5 inches high. This wall quote decal comes in two pieces for easier application and so that you can create your very own look!